To return to the Multimodal Transportation Planning page to view other proposals, click here. In October 2018, Move New Haven released a series of recommendations for improving bus transit service and operations in Greater New Haven. Several of these recommendations share similarities with ideas proposed in the following article (written in 2015). In the 17th century, water travel was more reliable than roads to get from city to city. Colonial-era roadways were often created from aboriginal paths already existing on the land. Terrain was bumpy, roads snaked around topographic features, and bridges were unreliable if they existed at all. In the 18th century, some upgrades were made to roadways to improve navigation between large towns and cities, but it wasn’t until the 19th century that private, toll-funded turnpikes vastly expanded and updated road networks. Stagecoaches brought riders to various destinations on predictable schedules and the travel times were greatly reduced. In the early part of the 19th century, water travel improved substantially as well with the arrival of canals. Trade increased as goods could reach new towns far from the shoreline and manufactured products could be shipped along man-made waterways connected to existing rivers. By the mid-19th century, railroad construction provided a third transportation option for a time, though it quickly replaced the canals. Railroads became the most efficient means to transport people and goods across the country and between cities. Railroads had a centering effect on development – causing a concentration of investment and construction around new hubs where railroads intersected or where towns already existed. As people flocked to these industrial centers from abroad and the surrounding rural land, development pushed upward and outward. Within cities and towns, horse-drawn streetcars emerged in the late-19th century to carry people from residential quarters to work places. Along the streetcar lines, retail flourished. In the early 20th century, horse-drawn streetcars were replaced with electric trolleys and expansion of service opened up land around the periphery of cities – allowing downtowns to grow denser. By the mid-20th century, automobiles had supplanted trolleys as the transportation mode of choice. Development still concentrated around established centers and housing subdivisions popped up on farmland near existing roadways where people could still access transit. 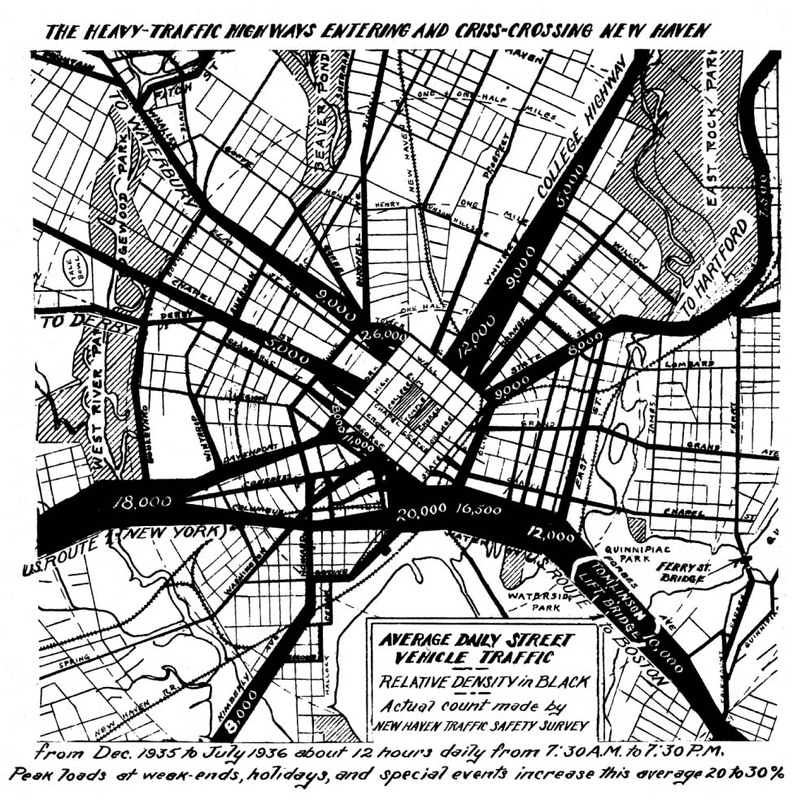 Traffic was worsening and becoming more congested in the center city as trolleys, pedestrians, cars, bicyclists, buses, and trucks tried to navigate to and through city centers on the US Routes (often created from the old turnpikes). To increase flexibility, open up street space, and aid in the conversion of Downtown’s streets to a one-way system, streetcar lines were replaced with buses in the 1948. The construction of parkways around cities encouraged residential development on the fringes, while more upwardly mobile families left city neighborhoods than were replaced by new arrivals. The construction of the Interstate Highway System removed many of the traffic issues within cities, but it came at a cost. In the 1950s and 1960s, cities across the country coordinated highway construction projects with blight removal and urban redevelopment programs aimed at clearing slums and replacing them with new residential and commercial districts oriented around cars. The highways also encouraged development far from existing centers where farmland could be bought and developed cheaply with residential subdivisions, strip malls, and office parks all within easy driving distance of highways. These “edge cities” had little relation to the city center and existed as their own communities designed entirely around the private automobile. 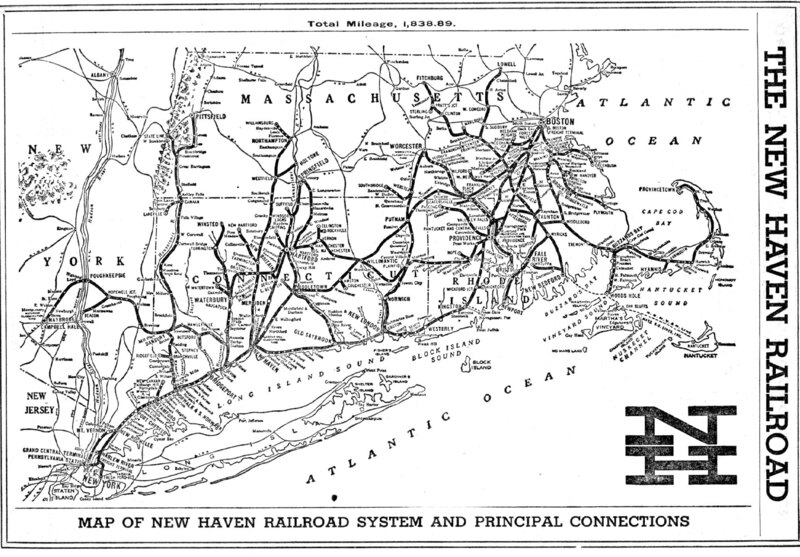 Today, the transit system in many cities, New Haven included, retains the hub-and-spoke network of the industrial age. Lines radiate outward from a central point in the city’s downtown and give access to city neighborhoods and to major employment and shopping centers in exurban “edge cities”. For many transit riders, this system requires catching a bus to the hub, transferring to another bus and traveling a great distance to the destination, then repeating the trip upon returning. It is not uncommon for bus commuters to spend several hours traveling to and from work and shopping for a trip that would take a few minutes by car. There is a similar experience for those trying to get to regional airports and train stations. For excellent coverage on CT Transit service in and around New Haven, check out the New Haven Independent. 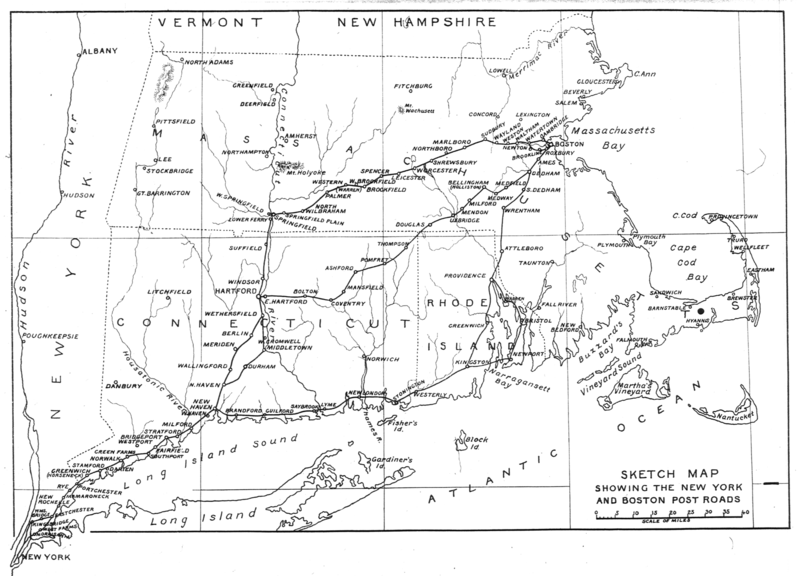 In 1941, the hub-and-spoke network worked well because nearly all of the developed land area in the entire region around New Haven was accessible by transit. By 2014, however, development around highways had placed many residents and businesses out of reach of transit despite expanded bus routes from Downtown. As outlined near the end of Part 3 in the A Future for Greater New Haven series, Where We Can Be, improving the transit network in the Greater New Haven Region would require 1) maintaining a hub-and-spoke system to service the central city; 2) consolidating parallel routes; 3) adding circumferential routes around the periphery of the central city; and 4) creating secondary transfer stations in Milford, Westville, Fair Haven, and the Shoreline. Aside from eliminating the need to transfer at the New Haven Green for many trips and consolidating redundant lines in New Haven, this transit plan also expands service to town and regional centers. A secondary hub could be located at the Milford Green and serve as a transfer point between New Haven and Bridgeport. Additional service might include a loop route around the center of Milford similar to the bus between the train station and various the Green in New Haven. Another route might be connect to Valley towns along Route 121, while express service to the West Haven Green could be accommodated on Route 162. Following the shoreline up through the West Haven Center, Allingtown, and Davenport Avenue, a route to Downtown New Haven could pass through Downtown on York Street and continue up Ashmun to Newhallville. As a major regional shopping and employment center, the Milford Mall should be easily accessible to a large share of the region’s population. Unfortunately, those without reliable access to a car are presented with unreliable bus service and an arduous, transfer-laden trip along the Boston Post Road. To improve transit service to Milford, the Boston Post Road could be reconfigured to include express bus lanes and improved pedestrian facilities. Furthermore, zoning changes could encourage denser, more mixed-use development along the corridor. For more information, see this article on the Boston Post Road. Another hub could be located in the Westville Village perhaps near the Mitchell Library and serve as a transfer point between Downtown and towns to the northwest. A bus headed out Fountain Street and Route 243 could access the valley towns of Derby, Ansonia, and Shelton. Separate buses along Routes 63 and 69 could serve Naugatuck and Waterbury, while a Westville loop might connect West Rock, lower Hamden, Downtown, and West Haven. Whalley Avenue is the primary way to Westville from Downtown. As such, transit linking the two should be efficient and convenient. Currently, Whalley Avenue is overly-designed for cars, which leads buses to fall behind schedule and become unreliable. One solution is to create bus lanes between the Green and the Westville Village. For more details on this proposal see here. New Haven would continue as the primary hub for the region and most of the spokes would remain in tact. 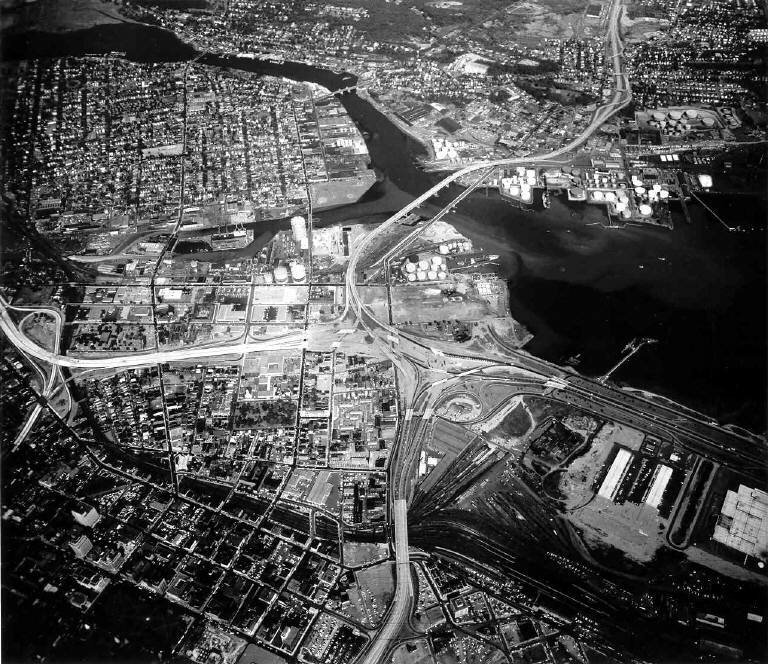 Lines west out of Downtown might consolidate along MLK Boulevard, Chapel Street, and Whalley Avenue, while two new loops could supplement the existing network; one might run along the Boulevard, Long Wharf Drive, East Street, and connect through East Rock and Newhallville, and another might connect Downtown, Westville, Hamden Shopping Plaza, Universal Drive, and Fair Haven. Derby and Northford could be connected through Downtown via Route 34 to Orange Street and Middletown Avenue. Seymour could connect to North Haven through Racebrook Road in Woodbridge, Spring Street in West Haven, and up State Street to the North Haven Green. An express bus might link West Rock to Downtown via Goffee and Wintergreen. Milford could connect to shoreline east towns along Route 1 through Downtown, and a bus on Chapel and Alden could access the Westville hub. To the north, buses would continue running on Dixwell and Whitney to Centerville, Wallingford, and Cheshire. The University of Connecticut Storrs Campus recently completed the first phase of a new town center in Mansfield. 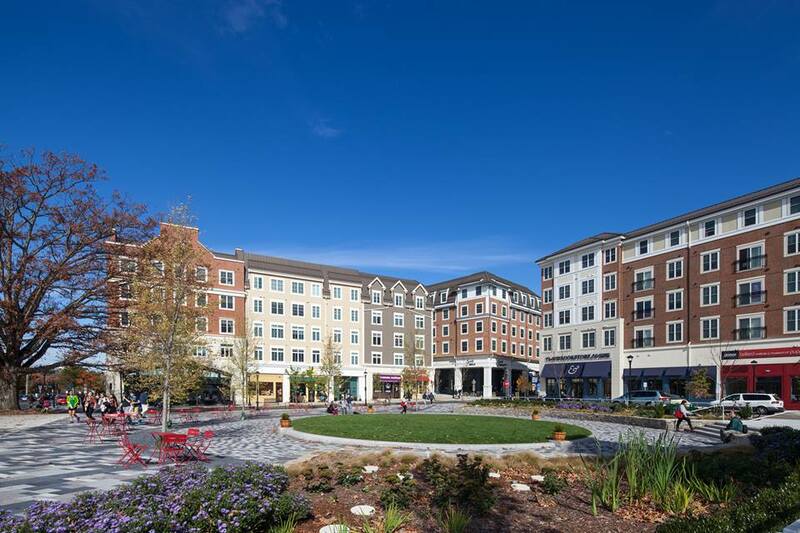 The high-density, mixed-use development includes apartments, stores, parking, and a town green that gives the area a sense of place, a central gathering space, and the feel of a real town. Around New Haven, schools like the University of New Haven, SCSU, Quinnipiac, and Albertus Magnus might benefit from similar projects on their campuses. Expanded school shuttles in addition to improved bus service could make developments in Mt. Carmel, Allingtown, Newhallville, and Beaver Hills more viable. Another secondary hub could be located in Fair Haven near the intersection of Ferry and Grand. Buses would transfer here to points north and east. One route might take Ferry Street up to State Street and Route 22 to connect Fair Haven, Universal Drive, North Haven, and Northford. Another route could go up Quinnipiac through North Haven to Meriden. A third line might serve North Branford, North Guilford, North Madison, and inland towns to the west via Route 80 through Foxon Hill Road. And finally, a route east might follow the water to shoreline towns along Routes 142 and 146. Improved transit to Route 80 and Foxon Boulevard, could help foster more intense development in the area to better serve bus riders, pedestrians, and cyclists trying to access goods and services. Providing better infrastructure for bus shelters and pedestrians would increase transit ridership and better connect this isolated part of the city. For more information on this proposal, click here. 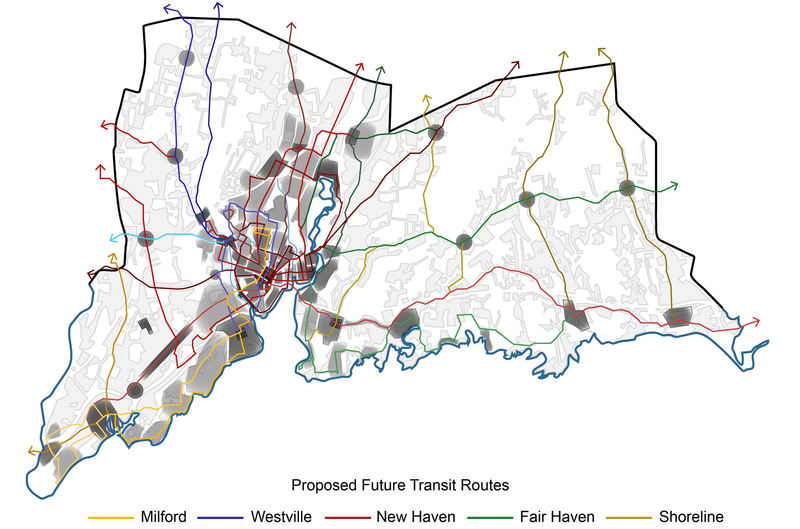 Shoreline east bus routes would ideally connect Branford, East Haven, North Branford, and Northford with Wallingford. Additionally, Guilford, Madison, and Durham could be connected along with North Guilford and North Madison by way of the north-south routes in those towns. Improved transit along the inner shoreline villages could encourage the development of true town centers with employment opportunities, residences, and shops. 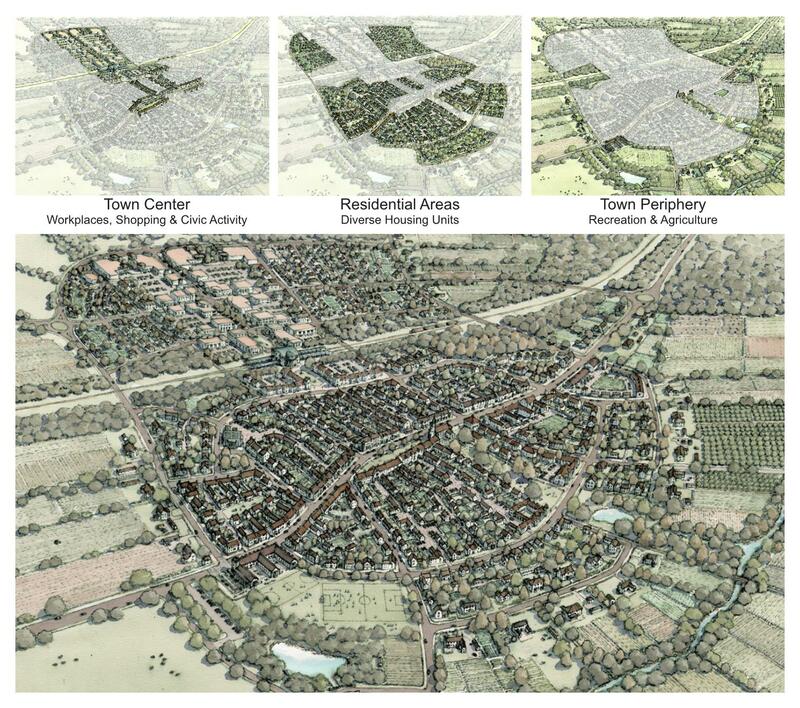 As briefly covered in Part 3 of the A Future for Greater New Haven series, new towns might development on the model of Garden Towns to one day serve as local and regional destinations comparable to the centers of Madison, Guilford, Branford, and Milford. With the recent approval of GPS tracking for CT Transit buses, a new era of transit may soon be upon us. GPS tracking will enable users to verify the arrival times of buses to their stops to better plan trips, save time, and depend on the service. Additionally, GPS data may inform improvements to routes, timing, and infrastructure. The next wave of change for CT Transit will likely require the coordination of service with school and employer shuttles. Next, parallel routes might consolidate to allow for the expansion of new and existing lines. For instance, buses running west out of Downtown might only go on Whalley, Chapel, and MLK and stop running on Elm, Edgewood, and George to enable the addition of circumferential routes, town loops, and better service to Milford, Hamden, and Route 1. Finally, bus-only lanes would vastly improve service by enabling buses to bypass car traffic. Improved transit has been linked to higher-density development. At the same time, more intense, mixed-use development has also been linked to higher transit use and alternate modes of transportation. 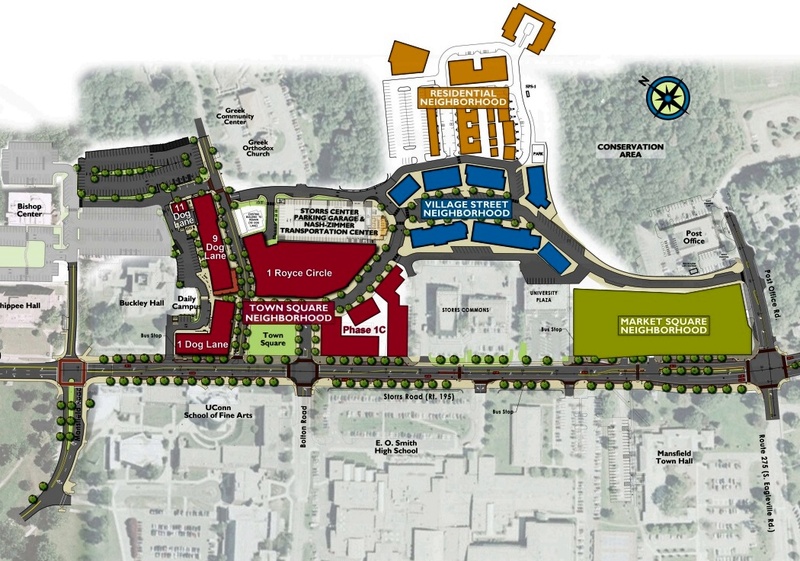 University or town center developments might foster better transit service and vise versa. Sprawl repair is also a big component of transit, as improved access to buses and cycling can encourage more walking and need for pedestrian-oriented environments where single-use shopping malls and parking lots currently exist. Roadways can be redesigned to include pedestrian amenities and bus and bike facilities, which can foster high-density, mixed-use development. Bus transit is a vital piece of transportation in the Greater New Haven region and improvements to service and have lasting impacts on development and health in the area.